Pretty much as good as true crime stories get. Well-paced, with just the right amount of suspense and recap...not to mention an excellent choice of a case to cover. We all have limits. And some people who are pushed beyond those limits will do unspeakable things. In “Tally,” the first season of OVER MY DEAD BODY, Dan and Wendi are two good-looking attorneys whose wedding is featured in the New York Times. But when this “perfect” couple falls apart, it leads to a bad breakup, a worse divorce, and a murder case involving a menagerie of high-priced lawyers and unexpected co-conspirators. From Wondery, the team that brought you “Dirty John” and “Dr. Death,” “Tally” is a story that says as much about love and marriage as it does about justice, revenge, and the lengths some people will go to get what they want. Hosted by Matthew Shaer. Dr. Death is a true story about a charming surgeon, 33 patients and a spineless system. Reported and hosted by Laura Beil. What did Wendi know and when did she know it? Matt Shaer and Rico Gagliano, host of One Plus One and Safe For Work, discuss some of the biggest unanswered questions around the murder of Dan Markel. Plus, a behind-the-scenes look at what went into reporting the series and where the case goes from here. “Where the Enemy Sleeps” is performed by Scott Mackay featuring Lucette. Subscribe to One Plus One today at wondery.fm/OnePlusOne: Every great collaboration is a love story. It’s intense. Passionate. Along the way, there are flashes of love, hate, pride, ego, ambition, and brilliance. On One Plus One, we’ll unearth the stories of Paul McCartney & John Lennon, Frida Kahlo & Diego Rivera, Beyonce & Jay-Z, Shaq & Kobe, and many more, and learn what it is about their chemistry that led them to greatness. Subscribe to Safe For Work today at wondery.fm/SafeForWork: While your office may be crazy, you don’t have to be. Office MVPs and corporate veterans Liz Dolan (ex-CMO, Nike, NatGeo, Oprah Winfrey Network) and Rico Gagliano (audio host, producer, print reporter and author) will help you make the big decisions, sort through the small stuff, and get more fulfillment from your work life. 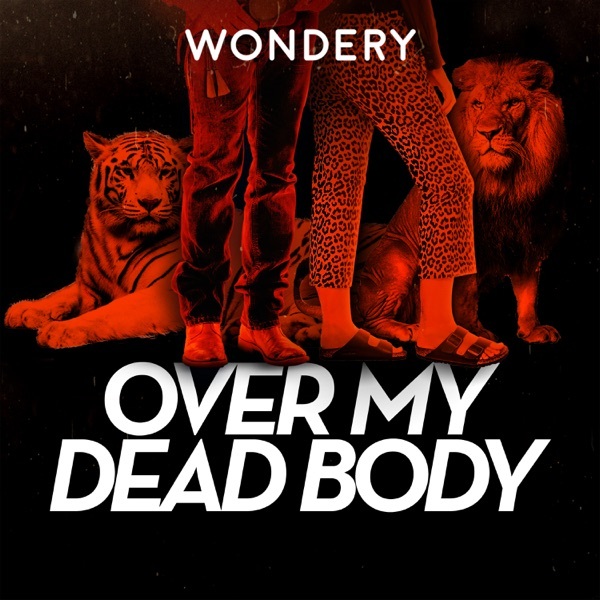 Subscribe to Wondery+ to get all the latest developments and bonus content of Over My Dead Body. Support us by supporting our sponsors! The Tally police department is convinced they have the evidence to arrest four people in a murder conspiracy. But prosecutors only charge three. Why? A mysterious stranger approaches Donna on the street in Miami. He asks for money to repay a favor that his family did for hers. Donna isn’t sure what to do, so she turns to the Maestro for help. When are arrests are finally made, it’s not who anyone expected. The FBI and local police seem to be zeroing in on a group of suspects. And soon, the King will have to make an important decision. After the initial shock of the murder wears off, everyone -- friends, reporters and law enforcement -- tries to understand how this could have happened, and why. The police investigate a number of theories about who might have pulled the trigger, and the families cope with the fallout. “If You Stayed Over” is performed by Bonobo featuring Fink. Divorces between lawyers tend to be uglier than average, and Dan and Wendi’s divorce is especially vicious. She fights to leave Tallahassee. He fights just as hard to keep her there. And when both fail to get what they want, one of them ends up dead. What makes a good marriage? Dan is smitten when he meets Wendi. But after a lavish wedding and a move to Tallahassee for Dan’s job, cracks in their relationship start to appear. Dan is blindsided when he comes home from a work trip and Wendi is gone. Maybe he should have read her novel.